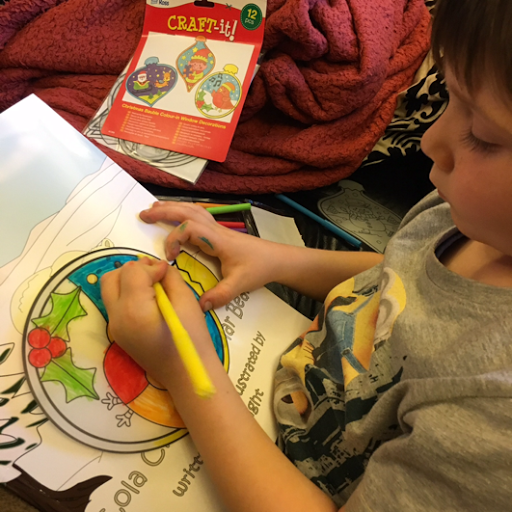 We were super-excited to get our Baker Ross bloggers Christmas box as they never fail to make great kids, perfect for keeping the kids occupied for a while you get a few Christmas jobs done! 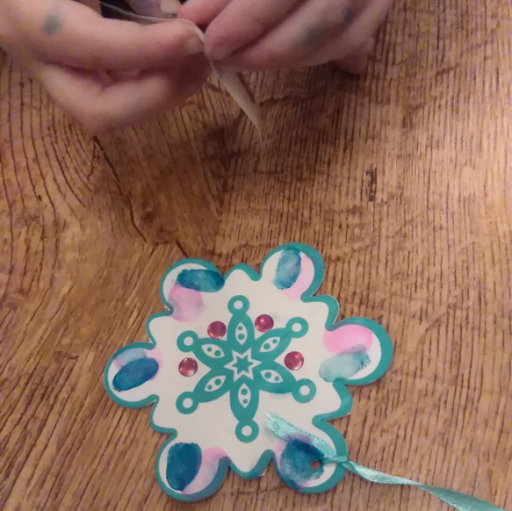 and we used our fab fibre tip pens from our last box for our colouring in! 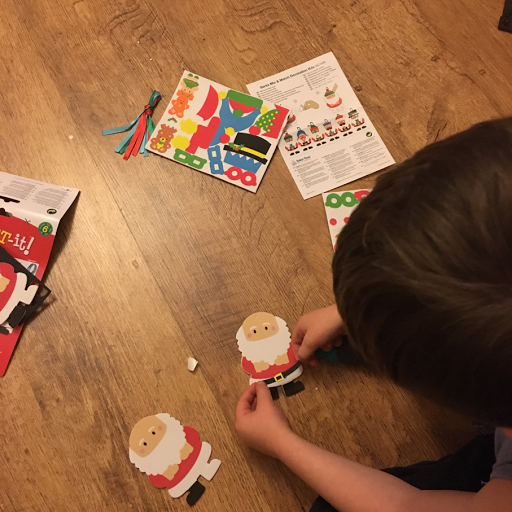 T calls these his photo booth Santa's, he loved putting the props on the little Santa figures, he really loves these little foam kits from Baker Ross, and I love how I can just give him one and it keeps him busy whilst I'm making dinner! My messy little pumpkin struggled a bit with this kit, he got in a little mess with the finger printing, but he loved making them. 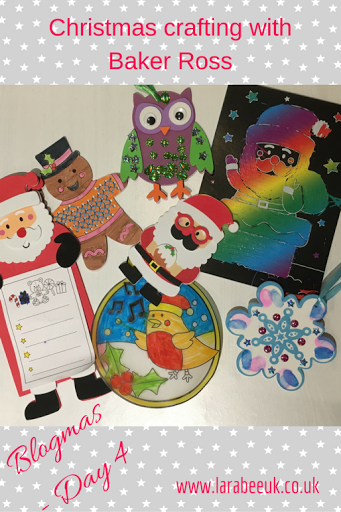 How cute are these these Christmas wish lists, I love them for decoration, not just putting the actual list! Again, T loved these as it's something that he could do all by himself. 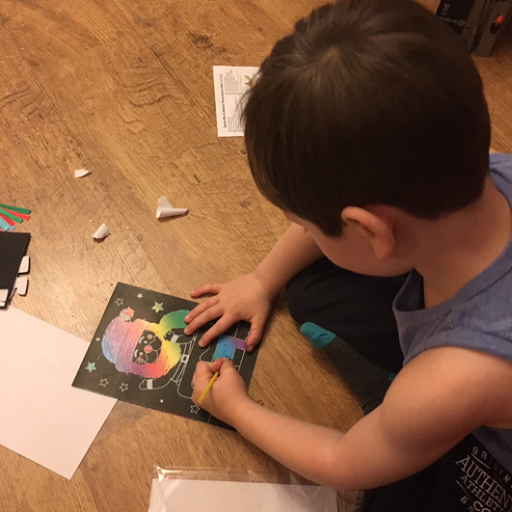 T struggled at first with the Christmas scratch art pictures but he soon got the hang of them and there was no stopping him, it took a while for him to keep within the lines but we got there and he found great satisfaction in 'perfecting' his technique. Amazing! 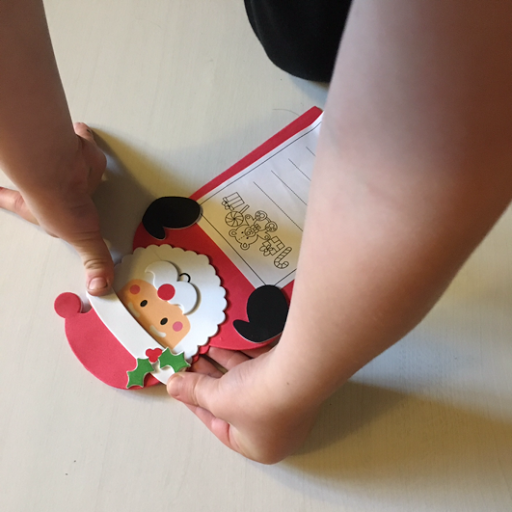 this is perfect now that i'm crazy thinking about what good things to keep my little ones creatively productive this Christmas season! These kits look great fun!